Is Iceland's Secret Solstice Europe's Next Big Music Festival? 72 hours of non-stop sun, 100+ musical acts, and a pagan Norse summer solstice celebration all converge at Iceland's Secret Solstice music festival. And despite the jetlag, lack of sleep, and expensive pizza, it was everything I could ask for. Almost. 2015 marked the second year of Secret Solstice, Iceland's first ever annual outdoor international music festival (say that five times fast), and while it became painfully obvious over three days of relentless daylight that the festival is still experiencing growing pains, it's easy to speculate how Secret Solstice can grow into one of Europe's premier summer festival destinations. The pieces of a once-in-a-lifetime festival experience are all there. The three-days of midnight sun, natural Icelandic mystique, and pagan Norse iconography (stage names like "Ragnarok" and "Fenrir" abound), set this festival apart from established giants like Coachella and Glastonbury. The intrigue is built-in for new festival goers and veterans alike. What's a festival without a night stage even like? The tickets practically sell themselves. Add to that, flights from Boston to Reykjavik for as low as $129 (US) on budget airline WOWair, free 7-day layovers from IcelandAir, and a minuscule 4.5 hour flight time from NYC, and you've got the perfect storm for a blockbuster international music festival. The only real problem with Secret Solstice 2015 was the music. Yes, the festival had logistical problems. Sound issues plagued nearly every act on the "Valhalla" main stage (I'm looking at you, Busta). The stage layout left standout solo acts like 12-string slide guitar phenom Ledfoot contending with the drum and bass of nearby Gimli stage electro acts. And perhaps the most odd choice was the complete lack of daytime activities (most stages opened at 3pm) that you see at every other festival ever. But glitches come with the festival territory. Governor's Island is muddy. Pack boots. Coachella is hot. Wear a camelback. At Oxygen, your tent might get burned to the ground. Pack a hammock? Regardless, most festival goers simply shrug these setbacks off as the price of admission then recount war stories from last year as they buy tickets again and again. But what do you pack for a festival when the biggest problem is boredom? Don't get me wrong, parts of the festival rocked my socks off. Flight Facilities featuring the vocals of Owl Eyes killed it. MØ annihilated the stage like a Danish pixie on speed. American soul legend, Charles Bradley reminded me what "performer" really means as he crooned and gyrated a la James Brown - complete with cape, costume changes, and crawling on hands and knees - for adoring fans. Bradley even ended his set by hugging half the front row. #hero. Two of the most recognizable names on the line-up - Kelis and "secret day-two headliner" Busta Rhymes - underwhelmed and offended respectively. Call me old-fashioned, but when the infinitely patient Icelandic crowd waits an hour for Busta to take the stage due to technical difficulties, he could at least try to make it up to them. Busta opted for a different approach by literally counting down the minutes until his set ended. "We got three more minutes!" Busta booms enthusiastically into the mic while holding his watch aloft for all to see. To add insult to apathy, when the crowd swallowed their pride and chanted for an encore, Busta countered with a chant of his own, "Pay. Me. More. Pay, Me. More," he intoned as he conducted the confused crowd. 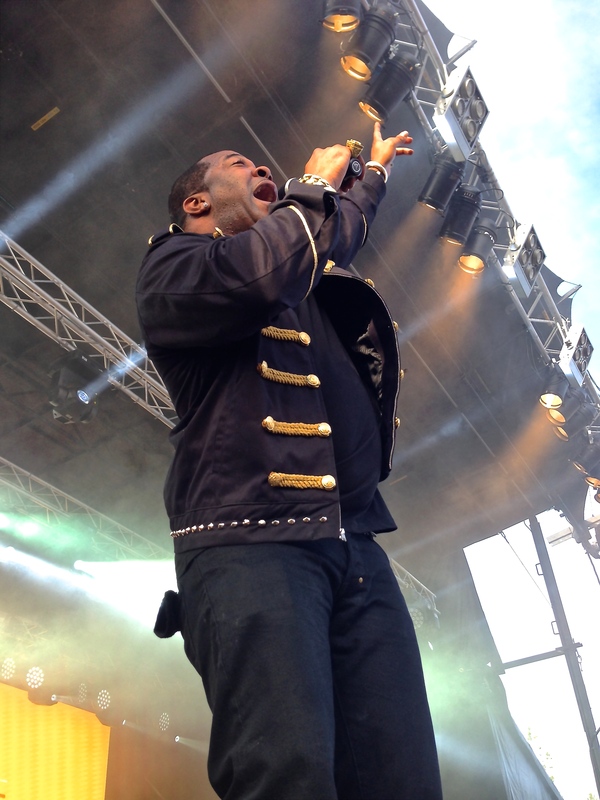 However frustrating, Busta's "performance" was, it hits at the central flaw of the festival: Aging talent. Leadfoot and Bradley aside, the older acts gave the festival a lethargic tone. Big names sell tickets, but even veteran Icelandic electro supergroup Gus Gus entertained, but without gusgusto. Kelis bored us with stories of her whale watching tour (seriously) between lifeless covers and abbreviated mashups. Even Wu-Tang Clan, the touted headliner (sans RZA, Method Man, and Raekwon), cobbled together a set that included the hits ("Bring Da Ruckus," "Gravel Pit," "C.R.E.A.M.") but left out the oomph. Still, the Icelandic crowd responded with salivating fervor - a teenage girl in the front row actually wept - but I couldn't help feeling let down. If Secret Solstice is going to become a premier destination festival - and it absolutely can - they can't pepper a few fresh faces like FKA Twigs and MØ onto the main stage and pat themselves on the fur cape clad viking back. Take a cue from the ATP Festival down the road in Keflavik, and dip into the local talent pool with acts like Mr. Silla, or at least veterans that can rock, like Iggy Pop. But maybe it was just me. It's tough to get caught up in the moment with the sun shining in my eyes. At midnight.